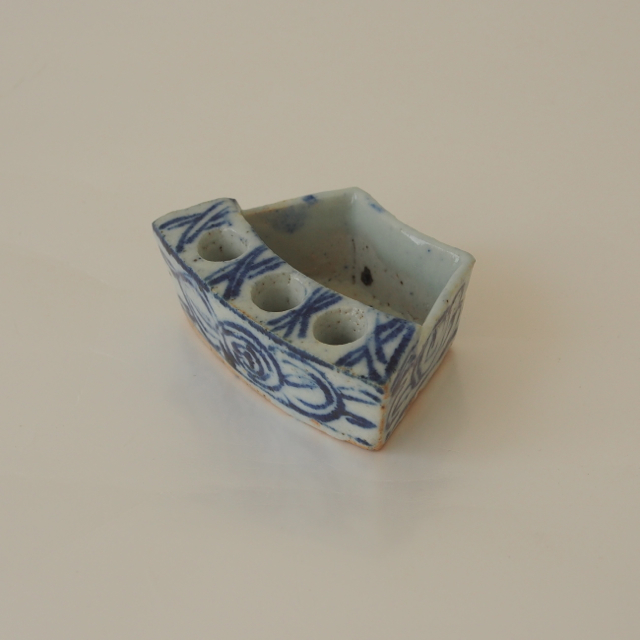 Continuing with the stationary items, this ceramic ware is a brush holder. A holder for the small brush, unlike the previous brush rests where they are lay horizontally, the brush here are inserted into the small holes and left standing. The small container is for keeping a bit of water in case the brush has gotten a bit dried. This kind of brush stand are usually used by the people who are writing all the time, e.g. the doctor, the pawn shop owner, the restaurant manager etc.